In Kildare, the boater has the opportunity to cruise the wonderful wooded stretches of the eastern ends of the Grand and Royal Canals and the contrasting flat stretches along the bogs west towards the Shannon and south on parts of the Barrow Line. Mooring up can be a couple of ropes around a tree, a stake in the ground along any of the open stretches, among the boating communities at Confey, Hazelhatch, Lowtown and Sallins or in the harbours at Edenderry, Kilcock, Monasterevin, Naas or Robertstown. In the evening, sit back and enjoy either the tranquillity of the water far from the crowd or the hospitality extended by those living on or near the water. There is room for everyone on the canals whatever their interest. The boating ethos is to help everyone enjoy boating no matter what their experience. The IWAI code of conduct attempts to make people aware of some of the situations encountered but does not cover everything. There are no Boat Marinas along the canals and all mooring places with the exception of Grand Canal Docks in Dublin and Shannon Harbour in Offaly are linear and in the Canal channel. 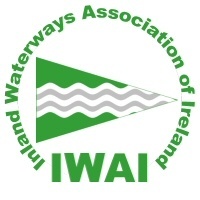 Waterways Ireland with Kildare County Council and their various partners, upgraded the Kildare canal corridor a few years ago and now provide mooring jetties, water taps and pump out facilities at both Lowtown and Sallins. Lowtown also has a Service Block and large car park. Most of the locks have waiting jetties and you will find mooring poles in rural locations.